Elliot Thorp, a 10th grader at the Clearfield Area Junior-Senior High School, recently competed in the first round of MathCON 2017 where he earned a spot in the top 576 students nationwide in the finals to be held on April 22 at the University of Illinois-Forum in Chicago. MathCON is a popular math competition for students grades 5-12 where the first round of the competition is held at participating schools and is administered online between Jan. 16 and March 3. Nearly 50,000 applicants from across the country competed. This is Elliot’s third year competing at the national level in Chicago. He placed 23rd in the final last year and 25th the first year. Elliot resides in Clearfield with his parents, Ron and Lisa Thorp. 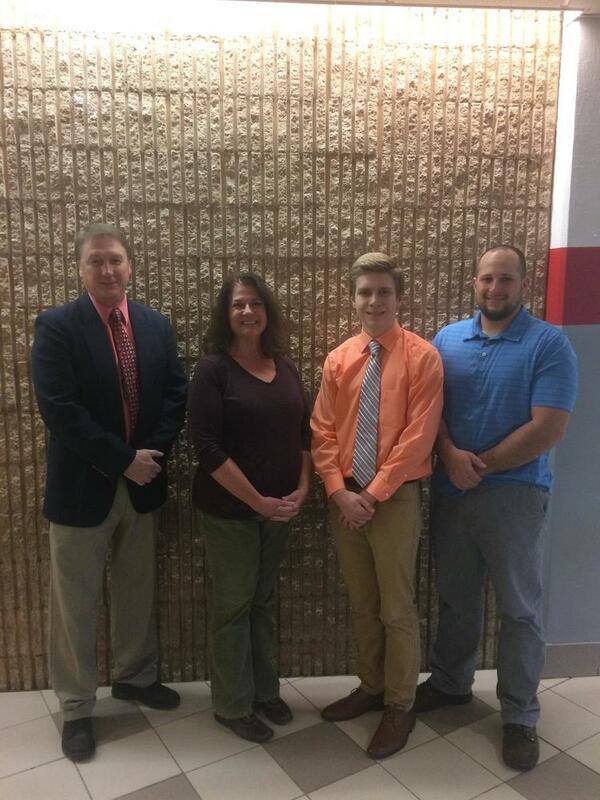 Pictured from left to right is CAJSHS Principal Tim Janoko, math teacher and Mathcon organizer, Mrs. Bookhamer, Elliot and Elliot’s math teacher, Mr. Zimmerman.